SpaceFlight Insider has been informed that the vehicle tested on March 30 – was not the Shenlong space plane pictured above, rather, a space bus upper stage. As reported on Want China Times, the Chinese National Space Agency launched the uncrewed Yuanzheng-1 (“Expedition”) mini space shuttle to orbit on March 30. It has been stated in the Global Times that the Unmanned Space Vehicle has the capacity of delivering more than 10 satellites to orbit. Not to be outdone, the United States is currently planning on launching the fourth flight of the U.S. Air Force’s Orbital Transfer Vehicle (OTV) space plane later this year. The Party Secretary for China’s Academy of Launch Vehicle Technology, Liang Xiaohong, has stated that the Yuanzheng-1 is capable of operating for about 6.5 hours on orbit. China foresees the small spacecraft as important toward its efforts delivering multiple payloads to orbit as well as clearing space debris. Given that China was the first nation to destroy a satellite on orbit, (the FY-1C Fengyun spacecraft) this is an interesting aspect of the mini shuttle’s possible responsibilities. A far more likely use for the spacecraft will be for it to launch China’s Beidou Navigation System (comparable to the U.S.’ GPS and Russian GLONASS systems) with as many as four of the spacecraft set to launch later this year. 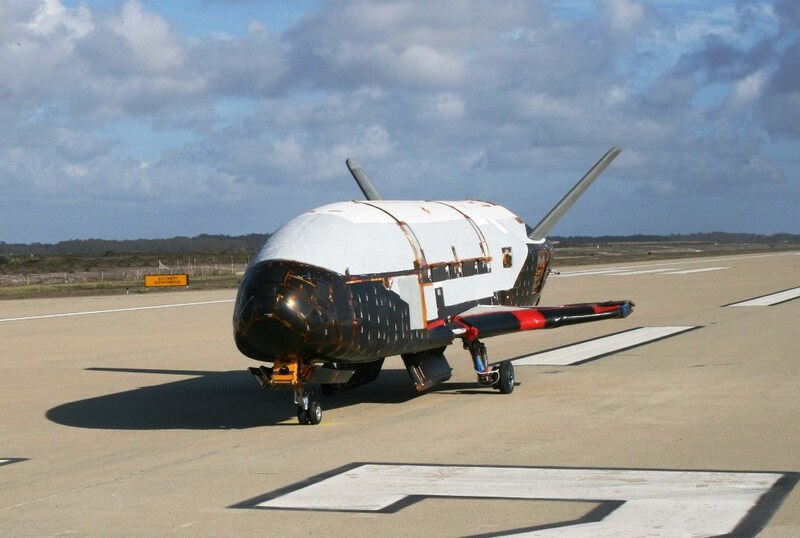 For its part, the U.S. is also planning on launching the X-37B space plane on its fourth flight overall (the stubby shuttle first mission was launched in April of 2010). According to SpaceFlight Now, the fourth flight of the OTV spacecraft is set to launch on May 6 of this year sometime between 9 a.m. and 1 p.m. EDT (1300-1700 GMT). Automated space planes are nothing new. 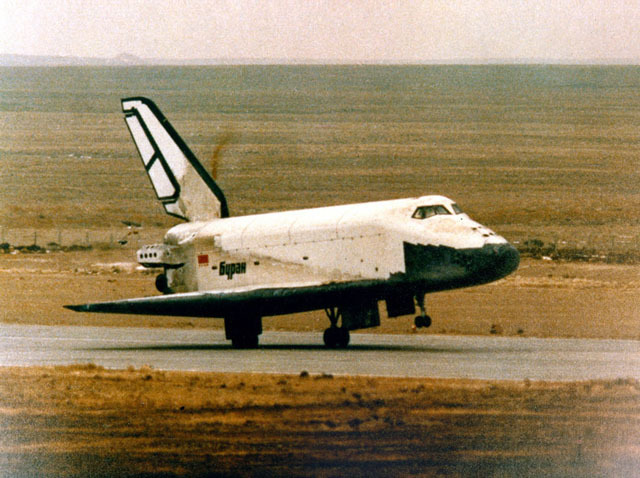 The former Soviet Union launched the much larger Buran space shuttle (designed closely after the U.S.’ own orbiter) in 1988 on a single unmanned flight, which lasted approximately 3 hours and 36 minutes. The X-37B is small in comparison to either the Buran or NASA’s now-retired fleet of orbiters. Just 29 ft 3 in (8.9 m) in length, the X-37B could easily fit within one of the shuttles’ payload bays (which measured some 59 feet or 18 meters in length). At present, Boeing, the manufacturer of the X-37B, appears to be planning to launch, land and process the mini shuttle at NASA’s Kennedy Space Center. The X-37B is launched atop an Atlas V 501 rocket from Cape Canaveral Air Force Station’s Space Launch Complex 41 in Florida. Since the first orbital insertion, the OTV has spent extensive and increasing amounts of time on orbit before eventually landing at Vandenberg Air Force Base in California at the end of each mission. The craft’s point of touchdown is set for a change, however. In 2014, Boeing acquired Orbiter Processing Facility Bays 1 and 2 from NASA under an agreement arranged by Space Florida to prepare the X-37B for upcoming flights. It is likely that rather than landing at Vandenberg, mission managers would land the spacecraft at NASA’s Shuttle Landing Facility located at KSC. This would mean that Boeing and the U.S. Air Force would not be required to transport the small shuttle back to Florida to prepare it for its next flight. I very much doubt this launch was of a mini-shuttle; the payload shroud is much too small. The new upper stage is almost certainly a Fregat-style restartable type for placing multiple payloads in different orbits. It would not be returnable. 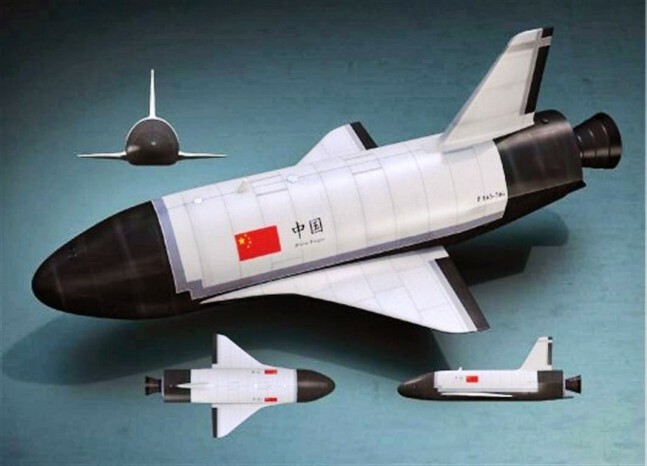 Nice Intro Article, but I would like to knowhow the Chinese version compares to the X-37 in size and any other info that can be gleaned. I realize that some of this info is hard to find at this point. I have to assume that either this craft has much less capability than the X-37 or the Chinese are acquiring information used to develop these system at a suspicious rate. I do not wish to denigrate the Chinese scientists and their skill, but developments like this are surprising and shocking in rate. On the other hand, if America would keep its nose to the grindstone and actually finish projects before the bean counters argue against their worth, we would have much more coherent mission capabilities covering all fronts in space.